I hope that you are all well. I would like to bring to your attention some changes at Warwick. 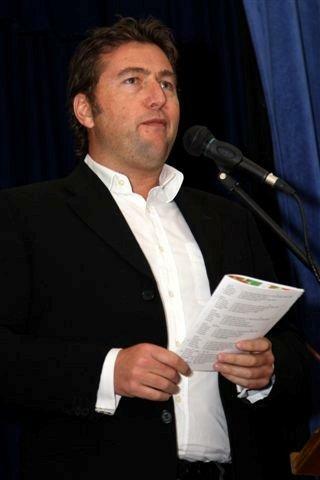 Warwick winemaker Jozua Joubert will be leaving Warwick due to a sad and sudden death in his family. We share in his grief and wish him well. Jozua has been and remains an outstanding winemaker and contributed enormously to Warwick. He will be missed by the entire team. Louis Nel has been appointed as consultant winemaker effective immediately and will oversee preparations for harvest and the harvest itself through April/May 2011. As long-time former winemaker at Warwick, Louis has a deep interest and knowledge in our vineyards, winemaking style and winemaking philosophy and has already slotted in like an old friend. Louis has indeed got outside responsibilities with his own wines, but has made a full commitment to ‘deliver the goods’ at Warwick. Warwick is currently interviewing extensively both domestically and abroad for a new full time winemaker to commence in the position after harvest 2011. We have identified a number of strong candidates and are quietly taking our time to make sure that we identify the ideal candidate to take Warwick into the future. Wishing you all the best for a great holiday season. A small sample of some of the damage wrought by the hailstorm in STELLENBOSCH this week. Not good. The new Warwick 'on the move' picnic trolley has arrived! nice. Warwick 'Gourmet Picnics' are now in full swing - summer is going to be hot! Why not drive out to the winelands – imagine lying on the grass, overlooking the dam, sipping on a delicious glass of wine, a table laden with the most decadent of treats and the kids running to their hearts content while you just unwind……. 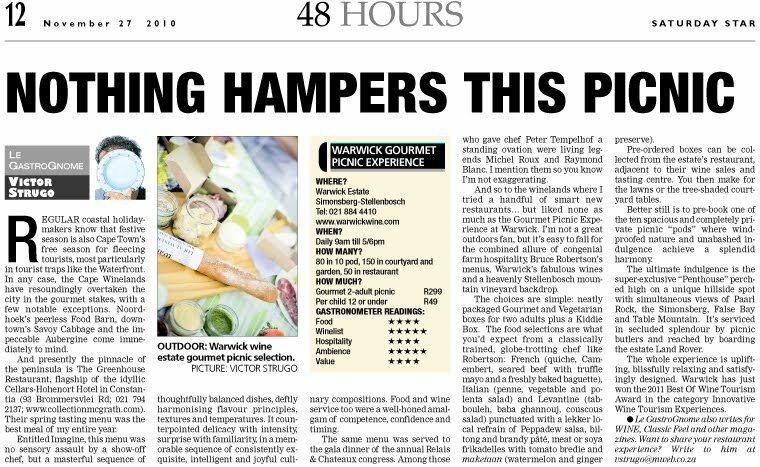 Come join us - Book your Warwick Gourmet picnic experience now! We cant wait and look forward to spending the weekend with you! 1. 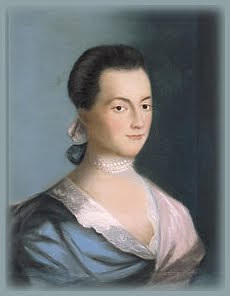 Abigail Adams: Abigail Adams, wife of President John Adams, was one of the most progressive First Ladies of all time. Adams played a major role in the fight for equal public education for women and the emancipation of African-American slaves. While John was serving the country as a delegate to the Continental Congress, Adams would write notes to her husband that detailed life during the American Revolution, as well as her advice about government and politics. 2. Dolley Madison: Dolley Madison, wife of President James Madison, was a social influence during her husband's political career as Thomas Jefferson's secretary of state and as president. She served as the unofficial first lady during Jefferson's presidency because he was a widower and she was good at planning lavish events at the White House. During her husband's presidency, Madison had to flee from the White House, which was invaded and burned by the British army during the War of 1812. Madison and her slaves collected valuables, like silver and Gilbert Stuart's famous portrait of George Washington, as well as major historic documents, such as an original draft of the Declaration of Independence and the Constitution. 3. Edith Wilson: Edith Wilson, wife of President Woodrow Wilson, was one of the most powerful first ladies to "run the government," as she was described as doing. Wilson took on unprecedented responsibilities as the first lady, when her husband suffered from a disabling stroke that left him partly paralyzed and kept him from participating in his normal presidential duties. Wilson stepped in as the official attendant, tending to routine duties and details of the government, as well as sorting out important issues from less urgent ones to bring to her husband's attention. Wilson did not make any major decisions or initiate programs, but she was regarded for her unwavering attention to her husband and his presidential matters. 4. Eleanor Roosevelt: Eleanor Roosevelt, wife of President Franklin Delano Roosevelt, was an inspirational first lady and a successful political helpmate. Throughout her husband's political career, Roosevelt became involved in the women's division of the State Democratic Committee and dedicated much of her time to political advocacy and her husband's purposes. She was a devoted caretaker of FDR, who was stricken with polio in 1921 and confined to a wheelchair. Roosevelt was not afraid to speak up and did so often, by giving lectures, holding press conferences, conducting radio broadcasts and, most notably, writing "My Day," her opinion column that ran in a daily syndicated newspaper. It was this candidness and her sincere consideration for all people that made her one of the most socially aware and beloved first ladies. 5. 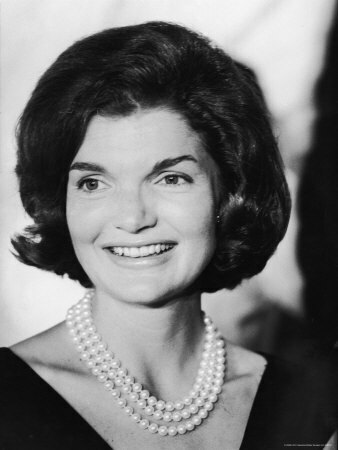 Jacqueline Kennedy: Jacqueline Kennedy, wife of President John F. Kennedy, was a cultural icon and inspirational first lady. Although her time as first lady was cut short because of her husband's tragic assassination, Kennedy made quite the impression in those two years. Kennedy was known for her undeniable beauty, intelligence and sophisticated taste, especially in fashion, as well as her contributions to the arts and historic preservation. After the assassination, Mrs. Kennedy showed great courage and strength while mourning the loss of her husband and the nation's president. 6. 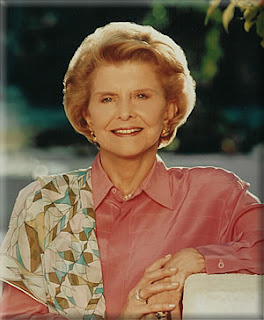 Betty Ford: Betty Ford, wife of President Gerald Ford, was an incredibly outspoken and politically active first lady, who was said to have impacted culture and politics more than her husband. When Ford became vice president and president, following President Nixon's resignation, Mrs. Ford became active in social policy and raising awareness about a number of issues that were too often ignored. She brought national attention to several real-life issues that were happening around the world, such as being diagnosed with breast cancer and undergoing a mastectomy. She also spoke about her battle with alcoholism, which later led to the creation of the Betty Ford Center, a drug and alcohol rehabilitation center in California. Ford was not afraid to publicly state her views, regardless of how controversial the topic was, such as feminism, equal pay, abortion and her support for the Equal Rights Amendment. 7. Rosalynn Carter: Rosalynn Carter, wife of President Jimmy Carter, was a major contributor to her husband's political career and presidency. During her time as first lady, Carter managed routine duties and special projects, as well as attended Cabinet meetings and was the president's personal emissary to Latin American countries. Carter had a strong interest in performing arts, and was one of the first presidential wives to invite international classical artists, as well as traditional American artists, to the White House. Carter was also a strong advocate for mental health research, and served as the Honorary Chairperson of the President's Commission on Mental Health from 1977 to 1978. 8. Nancy Reagan: Nancy Reagan, wife of President Ronald Reagan, was a politically active and supportive force in her husband's presidency. During her time as first lady, Reagan was involved in a number of programs, including the drug prevention and awareness campaign, "Just Say No," and the Foster Grandparent Program, which was the subject of her book, To Love A Child. Reagan was often compared to Jackie Kennedy because she was glamorous and made her contributions to the White House, by renovating the second- and third-floor quarters and replacing the White House china. Reagan was admired for protecting and caring for her husband, especially after he survived an attempted assassination. 9. Hillary Clinton: Hillary Clinton, wife of President Bill Clinton, was an influential first lady and an inspirational public figure for women. Before breaking ground as a successful politician herself, Clinton was a major contributor to her husband's success as an Arkansas governor and U.S president. Clinton focused much of her attention on public service, as well as government policies. She took on the role as chair to the Task Force on National Health Care Reform, where she supported the expansion of health insurance coverage, proper child immunizations and spreading awareness on national health issues. Clinton shared her experiences as first lady in a weekly newspaper column called "Talking It Over," and later wrote a best-selling book that detailed her interactions and observations of women, children and families she met as first lady. Clinton was sometimes criticized for her public involvement and outspokenness, but she also gained many supporters for her commitment to helping women and children around the world. She is currently serving as the U.S. Secretary of State for the Obama administration. Clinton was the first-ever former first lady to run for and be elected as a Senator, as well as run for president. 10. Laura Bush: Laura Bush, wife of President George W. Bush, helped changed the face of education in the United States during her time as first lady. As a former teacher and librarian, Bush focused much of her political efforts on improving the education system, promoting global literacy and helping women and families around the world. Bush was a proponent for the President's education reform, including the No Child Left Behind Act and NCLB's Reading First program. Her contributions and sincere kindness made Laura Bush a beloved first lady. SA's smart set for The Daily Maverick's The Gathering, Zwelinzima Vavi, Michael Jordaan, Nic Dawes, Jovan Regasek and Ray Hartley are among the business, media and political heavyweights set to meet at The Daily Maverick's gathering of minds on the first Thursday of November. Sandton, Friday 22 October 2010 – South Africa's top thinkers in business, politics and the media will be meeting for a day of analysis, discussion and ideas at The Daily Maverick's The Gathering, which is set to take place at The Theatre on the Square, in Sandton, on 4 November 2010. The full-day session is all about clever people connecting, and talking on issues they know the best and care about most. "The Daily Maverick has established itself as the news and analysis site for people who matter, so it is fitting that our first gathering will feature well-connected, smart thinkers that intelligent people would most like to meet and hear from," says editor Branko Brkic. The Gathering will stretch over the course of one business day and Brkic guarantees that people who participate won't leave without having their ideas challenged. "The Daily Maverick is creating a forum that will bring people who matter together. We want to offer our readers access to the thinking of some of the most influential people in this country." To keep things intimate and interactive, seating at The Gathering is limited and only 150 guests will make it through the door. Tickets have been selling swiftly, but there are still a few open spaces. Those who want to be a part of the event can e-mail thegathering@thedailymaverick.co.za for more details or to make a booking. Bookings are offered on a first come, first served basis. A small number of seats are available, at a heavily discounted price, to full-time students. 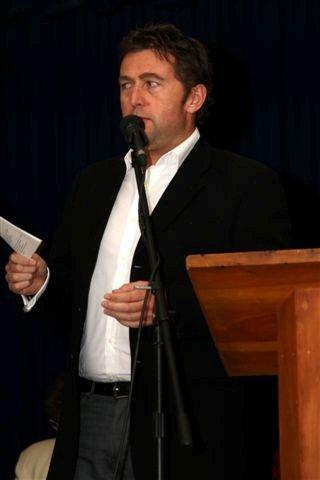 Contact thegathering@thedailymaverick.co.za or go to http://www.thedailymaverick.co.za. Top London Wine Merchant Handford Wines Celebrates their 21st Anniversary In Style with a Prestigious Tasting of the Greatest Wines of the World from 1989 (including Warwick Estate and Meerlust!) 1989 - 2010 The 12th of August 2010 officially marked the dawning of a new era for Handford Wines, the London based wine merchant specialising in premium fine wine from the Old World and South Africa, and on the 6th of October 2010, Handford Wines hosted one of the most exclusive and exciting fine wine events of the year so far, paring 24 wines from 1989 with 24 contemporary releases from the same wineries. Drawing renowned journalists such as Steven Spurrier (Decanter Associate Editor), Neal Martin from http://www.erobertparker.com/, Quentin Johnson from http://www.matthewjukes.com/ and Chris Kissick from http://www.thewinedoctor.com/, ensured the event was well attended by some of the leading opinion makers on the vibrant UK wine scene. 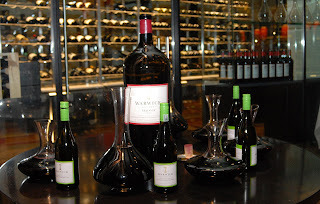 Among the glamorous array of fine wines from around the world, many of which were donated from the personal cellars of the proprietors, were the spectacular South African pairings of Meerlust Rubicon 1989 and 2006 and Warwick Estate Trilogy 1989 and 2007. 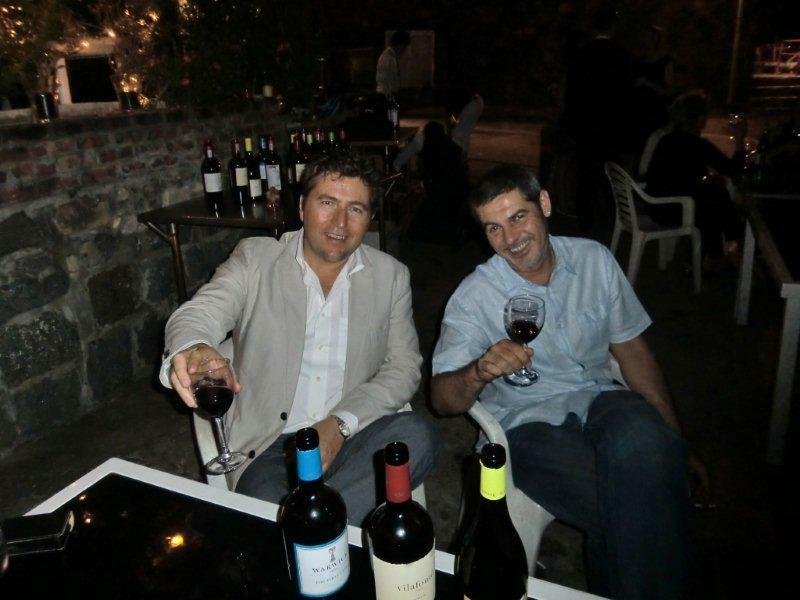 "The idea was to show premium wines from wineries around the world that have supported Handford wines for all these years and helped make us what we are today - "one of the best indie merchants in London" accordingly to, among others, journalist Neal Martin. Mike Ratcliffe and Hannes Myburgh / Chris Williams were very obliging and ensured we received the best archive stock from the deepest and darkest corners of their wineries" said Greg Sherwood MW, Handford Wine's senior wine buyer. "We thought it only fitting that wines such as Trilogy and Rubicon should be poured along side global icons such as Mouton Rothschild, Montrose, Palmer, Vega Sicilia Unico, Tignanello, and Clos du Val from Napa Valley. 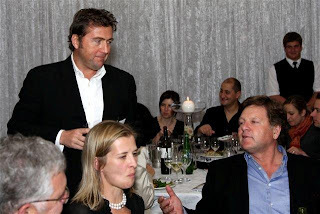 After all, the same private clients who are buying these old world icons are also buying cases of Trilogy and Rubicon weekly" commented James Handford MW, the managing director and founder of Handford Wines. After recently winning the highly competitive "Small London Wine Merchant of the Year: Runner-Up Award" at the Decanter World Wine Awards in September 2010, Handford Wines are eagerly looking forward to another 21 years of success and hope to be able to pour an entire table of South African icon wines next time around. 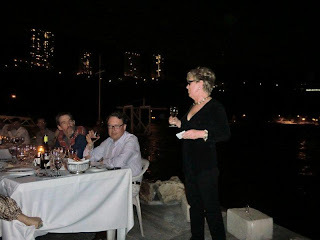 "The Meerlust 1989 and Trilogy 1989 were among the favourite wines of the night with some of the most flattering comments coming from the journalists and our highly "wine educated" private clients. We can't say we were surprised though!" commented Greg Sherwood, currently the fourth and last South African to be awarded the prestigious Master of Wine qualification. Beijing, September 2010; On October 15, 2010, Kempinski Hotel Beijing and boutique distributor EMW Fine Wines are proud to host a unique wine-tasting dinner. 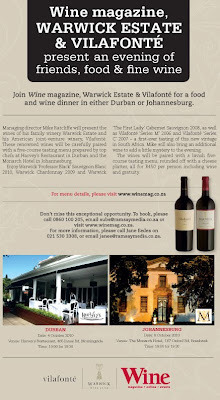 Taking place in Kranzler’s restaurant, this is a not-to-be-missed opportunity to sample one of the most exciting wineries in South Africa - Warwick Estate. 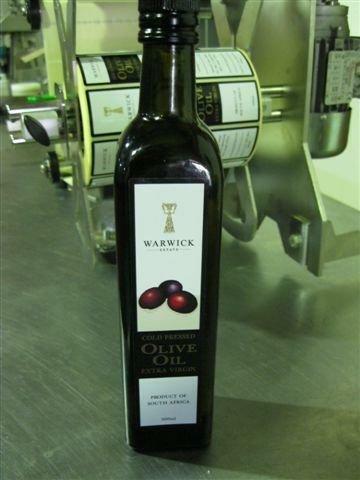 Warwick Estate is a family-owned and run winery in the famous Stellenbosch region. The land was purchased by Stan & Norma Ratcliffe in 1964, at which time not a single vine grew on the farm. However, The Ratcliffes soon realized the potential of the terroir and began planting Cabernet Sauvignon. The Cabernet Sauvignon vines yielded grapes of notably high quality, which were soon in demand from wholesalers and other wineries. Norma became increasingly interested in the wine-making process, and began to study the subject. 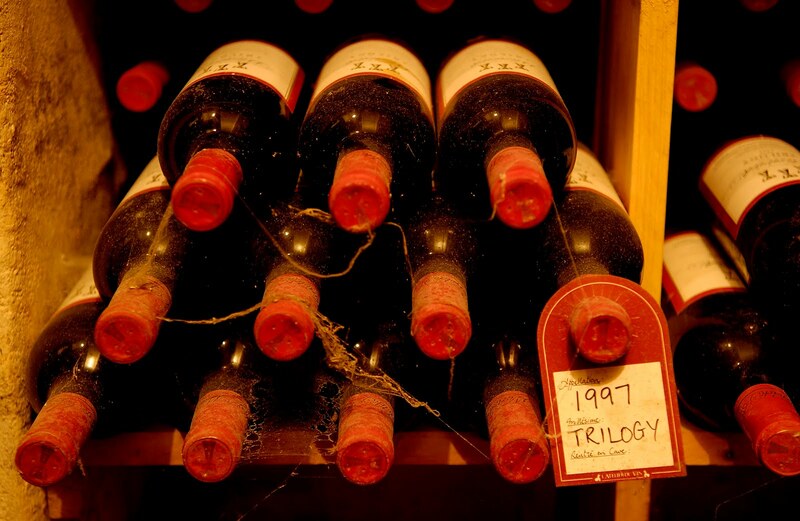 Eventually a cellar was in place, and in 1984 the first Warwick vintage was released (a Cabernet Sauvignon). 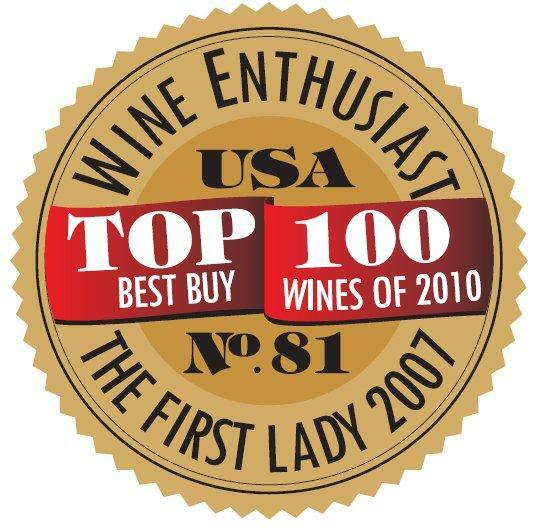 Since 1986, “The Trilogy”, a Bordeaux-style blend, soon became one of the flagships of the South African wine industry. 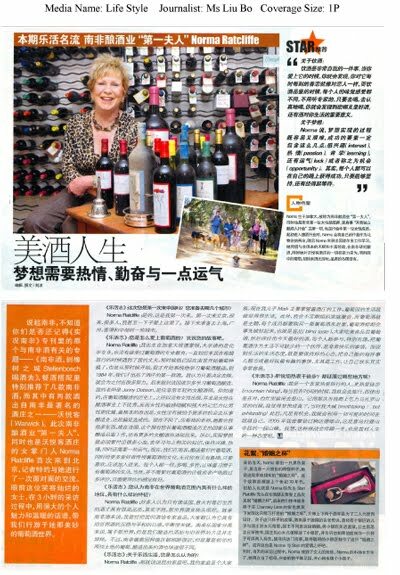 Norma Ratcliffe became her country’s first female winemaker. She even has a wine – “The First Lady” – named after her. Tom Stevenson, a prolific wine author and regarded as the world’s leading authority on Champagne, holds Warwick Estate in high regard: “Rich, complex wines make Warwick one of the youngest, smallest, and most exciting boutique wineries on the Cape winemaking scene.” In addition, Warwick has implemented an environmental-friendly approach to viticulture, refraining from using pre-emergent herbicides in its vineyards. At the event, guests will have the opportunity to meet Norma and her son Mike Ratcliffe, the Managing Director of Warwick Estate, and can also sample a hand-picked selection of her wines, including “The First Lady” (Cabernet Sauvignon, 2008), “The Trilogy” (Cabernet Sauvignon, Cabernet Franc, Merlot, 2007), “Old Bush Vines” (Pinotage, 2008) and “The Professor Black” (Sauvignon Blanc, 2009). The wines will be paired with a specially-crafted menu prepared by Executive Chef Thomas Laberer and his team. 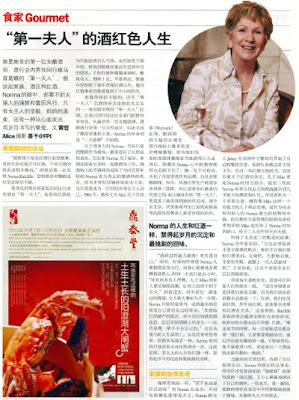 In addition to the wine dinner, Warwick wines will also be available at Kempinski Hotel Beijing from October 1 to November 30, 2010. 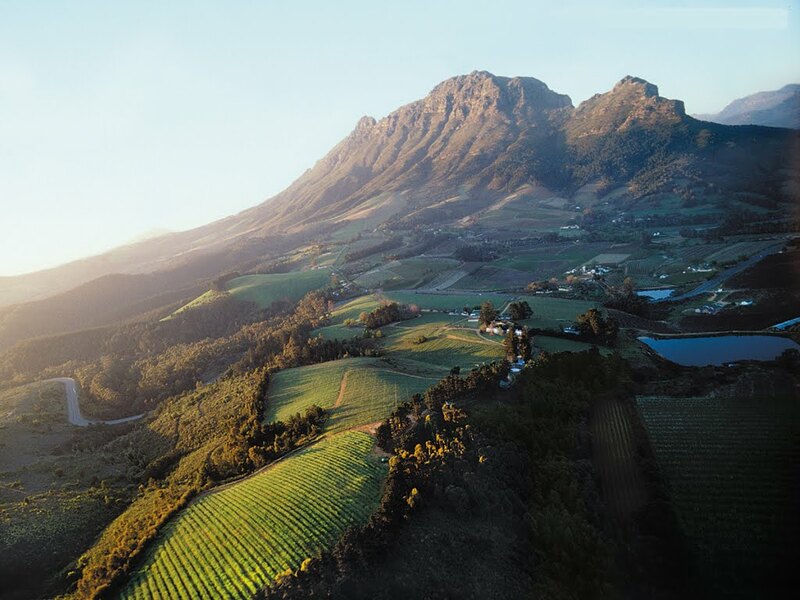 The oldest and best wine region in South Africa is around Stellenbosch, a short drive from Cape Town on the country's southern coast. Vines have been grown there since the late 17th century. High mountains produce a micro-climate that is three to four degrees warmer in summer and a similar number of degrees cooler in winter. This produces a longer ripening period. 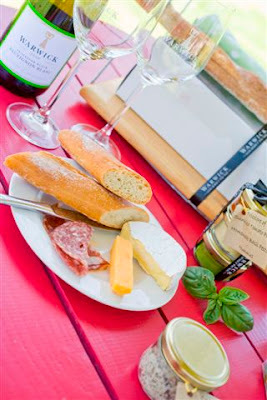 The best way to visit the vineyards is to take the famous wine routes, established in 1971. The five current routes take you past 148 vineyards. The high number of vineyards also means that prices are competitive. 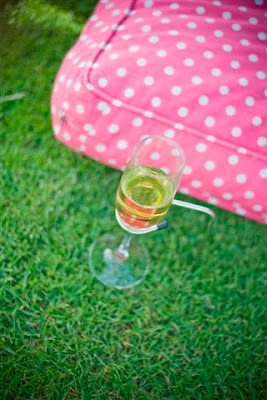 A good time to visit, if you like crowds, is to attend the Stellenbosch Wine Festival, usually held in June each year. I visited Warwick Estate in early July, just after the festival. 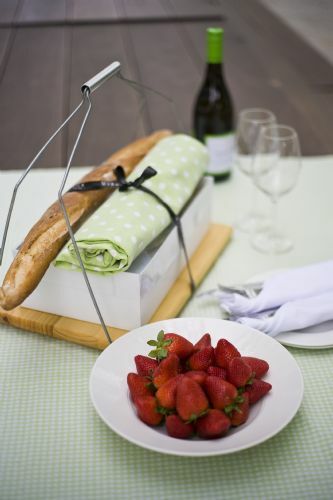 The estate started in 1770 as a fruit farm. 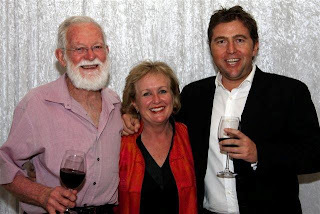 The Ratcliffe family planted vines in 1964 and winemaking started two decades later. Norma Ratcliffe became one of South Africa's first female winemakers. 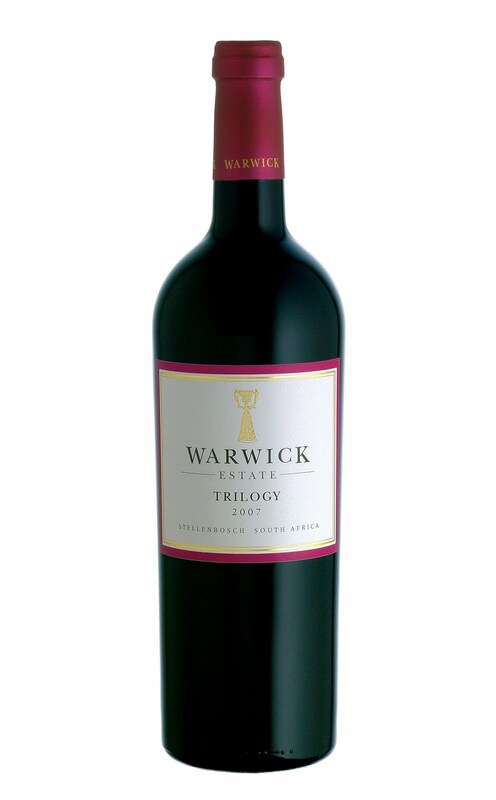 Warwick's flagship red, the Trilogy (a traditional Bordeaux blend of cabernet sauvignon, cabernet franc and merlot), was selected in Wine Spectator's top 100 wines around the world for a second time in 2009. I tasted the 2007 Trilogy and, though still young, it had a distinct cigar box aroma and tasted of dark chocolate. The wine receives 24 months in French oak (40 percent new), so it exhibits a dusty tannic structure. This means Trilogy should be cellared for at least eight years after vintage. 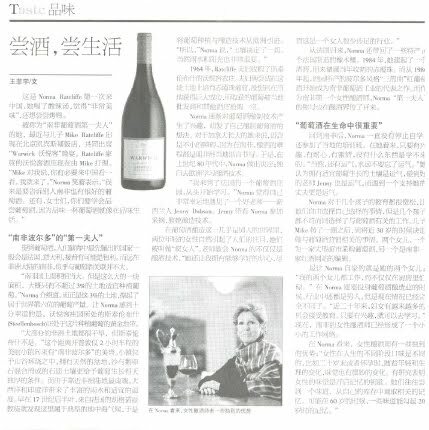 At about $34 (about 230 yuan) a bottle from the vineyard, it is a bargain. Another standout wine was the Old Bush Vines pinotage 2008, another bargain at about $13. Pinotage is a grape variety conceived at the University of Stellenbosch, a hybrid made from pinot noir and shiraz. Pinot noir struggles in the South African climate but the hybrid flourishes because of the influence of the more rugged shiraz. 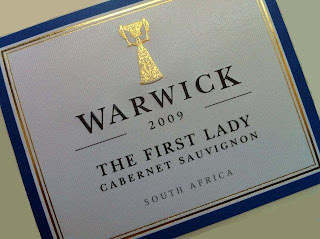 Another excellent Warwick wine is the Three Cape Ladies, a blend of pinotage, cabernet sauvignon and shiraz. It sells for $15. It also receives solid oak treatment, this time 23 months in French oak (40 percent new). And it should be cellared for up to a decade before being consumed. Warwick Estate wines are available in China from East Meets West Fine Wines at 988 Shanxi Bei Road in Shanghai. Stephen Quinn traveled to Cape Town courtesy of the South African Tourist Board. Look at the cool banners that are hanging above the stocks of wine! 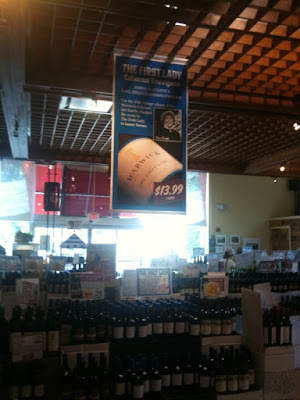 C'mon all you wine lovers in Yonkers, Danbury, Newington, Newark & Springfield. Twitter, if used correctly, is in effect an online filter perfectly tailored to providing you with immediate relevant connection to any particular world that you choose. You can reduce your volume, increase it. You can broaden the depth of info that you receive and you can narrow it by defining what you want to hear. When you repeatedly hear something that you don't like - you can unfollow/delete and never received that info again. twitter is perfectly Darwinian in that only the strongest sources of info should survive. Of course this only really applies to people that apply their minds to utilising the Twitter strengths intelligently. Conversely there is a very strong Machiavellian tendency from some twitter users/pushers/marketers to manipulate the environment that they portray and create a false sense of reality that they would like their followers to buy into. Again, most intelligent Twitter practioners will eventually smell the distinct aroma of BS and simply unfollow. For my own purposes, twitter is fast becoming a prime source of information as I have a very clear vision of what I am trying to get out of it. 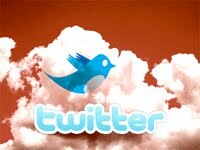 But Twitter is really a windo into a world of information rather than the information itself. Twitter is a conveyor belt bringing me what I want - and I control Twitter - not the converse. Click on the link to enlarge for details. Lordy lord, I’ve been sick! 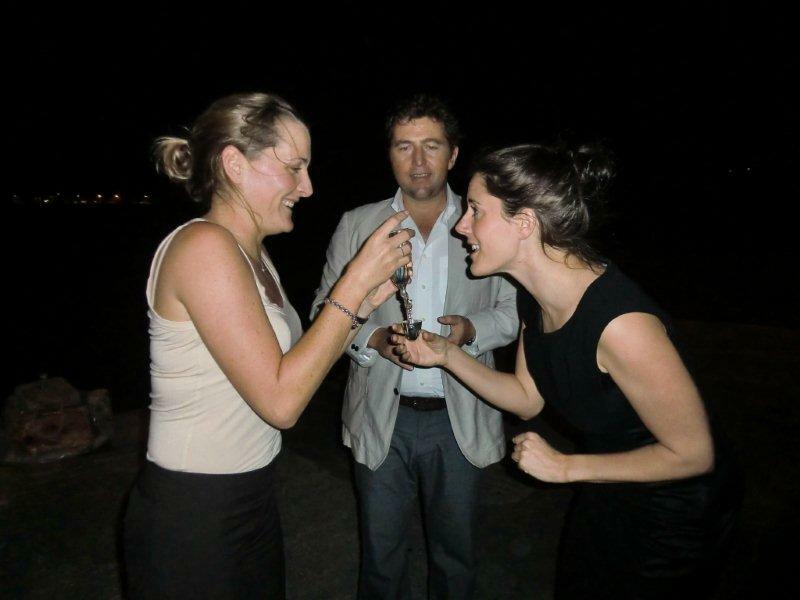 I hate, hate, hate losing my tastebuds – if you work in the wine industry, it’s actually one of the scariest of things (what if they don’t come back?) so I will be highly delighted when cheese tastes like cheese, broccoli tastes like broccoli and wine tastes like wine once more. I fell sick almost immediately after going to Warwick last week – and I refuse to believe the two are related. In fact, I am almost sure that the delicious food I ate and the fantastic wine I drank probably warded off a much worse bout of flu than I have actually ended up with. There was no real occasion for the lunch – just a general get-together for some media and trade and a chance to serve a few small sheeps’ legs to us all. We started off with a round-up of wines which Mike Ratcliffe, MD of Warwick, says he doesn’t generally put into tastings. Following on from our Twitter fest just a few days before, I was hoping for more Cab Franc as it was so yum, but instead, we started with Sauvignon and Chardonnay, moved on to Pinotage and finished up with the new releases of Three Cape Ladies and Trilogy. I must say, I find Warwick’s wines to be almost universally satisfying. The Chardonnay is beautifully balanced – plenty of wood to be sure, but lots of fruit, good acidity and all very seamlessly integrated. I found it a tad bizarre that the Chardonnay was in a cork closure whilst the Pinotage was in screwcap but Mike didn’t really have any good reason why – it’s just what they thought they could sell and he was happy to follow the market. In fact, if anything was strangely incongruous about the day, it was how much Mike kept coming back to the idea of being a follower rather than a leader. For a start, I’m not sure how much I believe him, but secondly, I think he is seriously depriving the wine industry of a figure of intelligence, forethought and stature by taking such a back seat. As the lunch wore on and Mike spoke of his foray into the world of the Cape Blend, of his decision to keep labelling the Pinotage as Old Bush Vines despite the fact that much of it isn’t, the whole screwcap thing – all rather strange and a tad disingenuous from someone who probably owns the pulse, let alone merely has his finger on it. But enough modesty – Mike’s wines can speak for themselves whatever the circumstances – and when he started digging around in the wine library with a rabidly thirsty Christian Eedes (www.whatidranklastnight.co.za) and Roland Peens (www.winecellar.co.za), it was clear that I should have booked a taxi or used Goodfellas (www.gfellas.com) instead of spitting and driving as usual. Perhaps if I had done, I might have fought off infection for another day. Suffice it to say that the 1999 Chardonnay was awesome, but not quite as good as the older Trilogys or Pinotages with the lamb shank. Who cares if the sheep have to hop? Not me. It was a lovely day at Warwick. Whether he’s being modest or not, Mike is a generous and warm host with plenty to show off on the farm and plenty to be proud of in all he and his family have achieved. The business is booming – all in all, Mike attributes an additional R2.5 million turnover to the World Cup and expects to build on that this coming summer - especially in the restaurant with their gourmet picnics and family-friendly attitude. If you haven’t been to the farm for a while, go and take a look. Whether they’re following fashion or setting it, there’s plenty to see, drink and do with the Ratcliffe family this year. Warwick and Vilafonte go on tour! Fantastic news - we are going on tour! 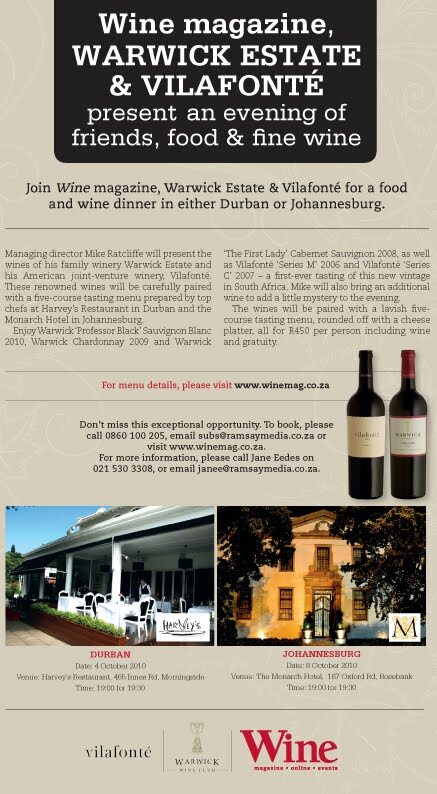 Together with Cathryn Henderson, Editor of Wine Magazine, I will be hosting three incredible Warwick and Vilafonte food and wine dinners across the country over the next 2 months. 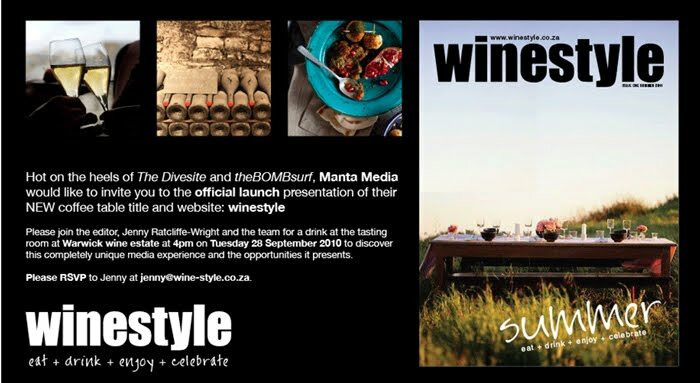 Enjoy an all-star line-up of our much loved wines paired with a five-course tasting menu, prepared by top chefs at 3 of the hottest and trendiest new venues. Why not put together a table with your mates? 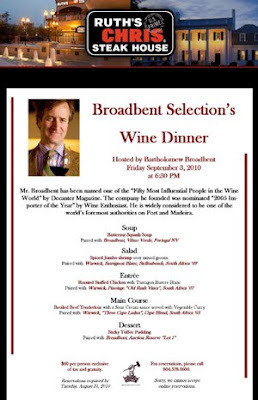 Join me for some great wine, awesome food and lots of fun. Is Franc the Future for Cape Wine? For many winelovers, Cab is king. But after an incredible tasting last week, I think that the real question we should all be asking is – which Cab are we talking about? Cabernet Sauvignon is one of the most well-travelled grapes in the world, happily putting down roots in both Northern and Southern hemispheres, making wines in practically every winemaking country there is, oomphing up Chiantis and spicing up Cape Blends. But behind every great grape, there is an even greater one and in this case, it's a variety called Cabernet Franc. 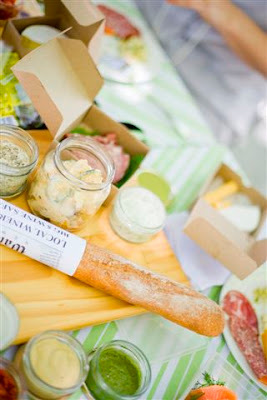 And that was the focus of our tasting at the Cru Café in the Cape Quarter last week. DNA tests have now proved that Cabernet Sauvignon is actually the love child of Cabernet Franc and Sauvignon Blanc. 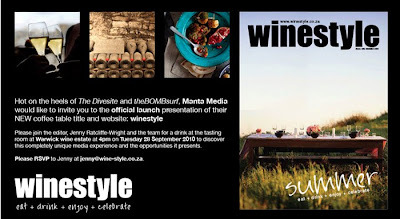 Both Sauvignon and Cabernet Sauvignon have enjoyed massive success over the years (if you want to try a few, then head for the Wine Concepts Seductive Sauvignon Festival tonight at the Vineyard Hotel. Call 021 671 9030 begin_of_the_skype_highlighting 021 671 9030 end_of_the_skype_highlighting for tickets) but Cabernet Franc has rather languished in the shallows of obscurity. It is used in Bordeaux and makes all the red wines in the Loire Valley, but hasn't really achieved the success of its more famous child. 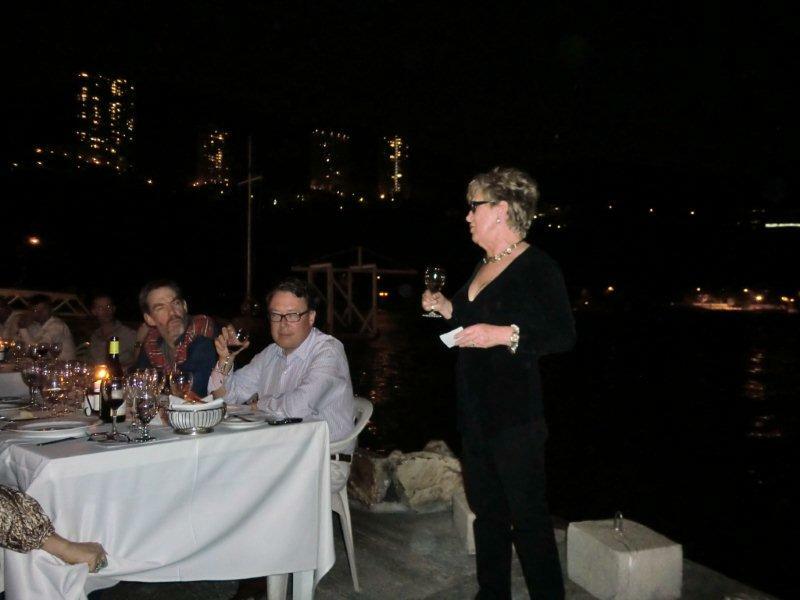 Last week's tasting set out to prove that all Cab Franc needed was a new country in which to showcase its talents, and various top wine Twitterers and twittering winemakers convened to discuss the topic. We were joined online by internationally-acclaimed wine guru, Jancis Robinson, along with another celebrated UK journalist, Tim Atkin, both adding their 10c to the discussion. 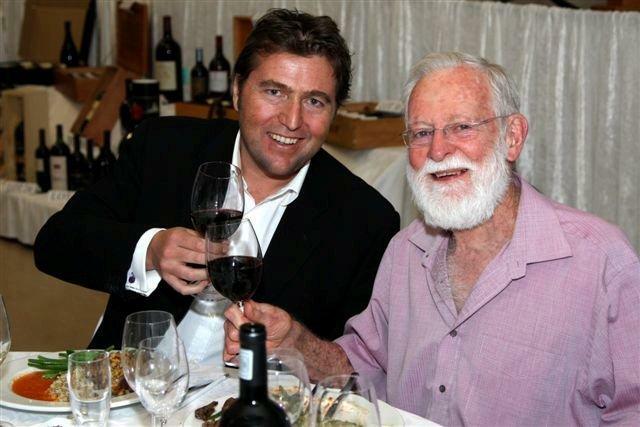 Leading the tasting and towering over us all, both literally and vinously, was Bruwer Raats of Raats Family Wines, widely considered one of the finest Cabernet Franc winemakers in the world. The tasting covered Bruwer's wines and another Cape Cab Franc legend from Warwick Estate, and included newer entries to the market such as Haut Espoir's fascinating versions made from high-altitude vineyards in Franschhoek (these were barrel samples and will only be released in a few years time – get yourself on the list now!). The Signal Hill Cab Franc from new vineyards in Kalk Bay – only 86m away from the sea – was particularly interesting. Owner/winemaker Jean-Vincent Ridon explained that there was so much salt on the grapes, he originally thought he would have to wash them before foot-stomping, but eventually decided to leave them as they were, creating a perfumed wine which perfectly expresses its terroir. One awesome wine followed another, each one showing style, individuality and elegance, each one confirming our growing opinions that Cabernet Franc has got an amazing future in South Africa – I was glad that I'd booked those lovely drivers from Goodfellas (www.gfellas.co.za) to take me home because there was very little spitting going on anywhere around the table! Everyone was passionate about this variety either as a single cultivar which is what Bruwer and Jean-Vincent believe or as part of a blend such as Warwick Trilogy – Neil Moorhouse from Zorgvliet is punting Cab Franc/Merlot blends as ones to watch so remember where you heard it first! 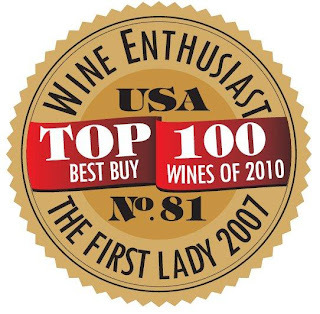 For those of you who've never tried a Cabernet Franc, it is fairly similar to a Cabernet Sauvignon in that it generally has lots of dense, dark black fruits and sturdy tannins, but Cabernet Franc also has a spicy green edge to it which can manifest itself as herbal, perfumed and aromatic giving multiple layers of flavour and complexity. 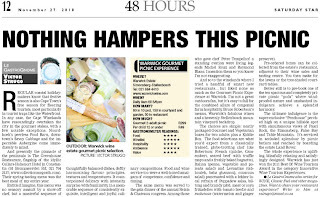 If you want to give it a go, then entry-level priced ones include L'Avenir at R50, Zorgvliet at R65, Eikendal at R70 and Signal Hill Constantia Cab Franc also at R70. And if, you've already been converted to Cabernet Franc then you can do no better than a bottle of Warwick at R235, the fascinating Signal Hill Kalk Bay at R250 or the Raats Family at R280. Give one of them a go this weekend – I've tasted the future, and the future's Franc!